Indeed, it is. As we are currently enjoying a fantastic age of action cinema, there are filmmakers out there looking to put their spin forward, no matter what limitations are present. Enter Sheffield based director, Josh “JG” Blank. 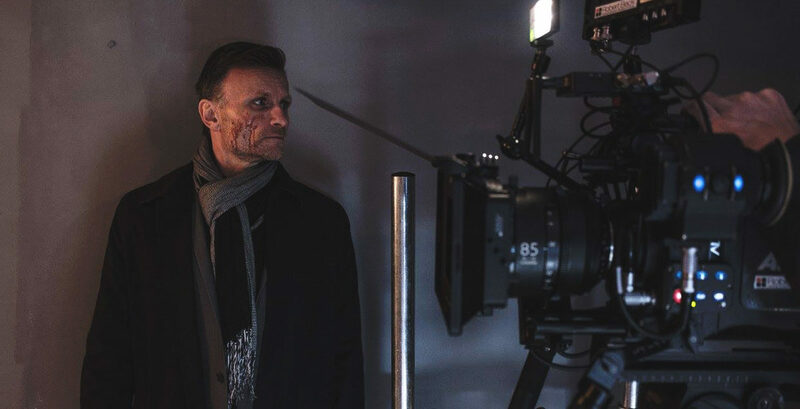 Recently I’ve had the pleasure of chatting to him about his feature film Two Gunned Saint, a heroic bloodshed flick currently in production. For those out there just finding out about Two Gunned Saint, could you tell me a bit about yourself and your background? I’ve had the idea for Two Gunned Saint, in one form or another for several years now. I spent the last few years working as part of a live music platform, putting on live streams and filming live performance and events, which was a great experience because it allowed me to live in a way where we had to constantly be in a creative flow. But I’ve recently switched my attention to getting this film up and running full time. I’ve been following your project for since the later half of last year, but I understand you’ve been hard at work on this for a while. Where did the idea for this project spark from? In the past, I’ve had to write Director’s statements and such, in which I’m supposed to describe why I’m making this film and what it means to me and I always really struggle to answer things like that because the truth is, it’s almost entirely instinctive. I don’t really understand why I’m making something a particular way, I’m just responding to what I find interesting or boring. However, I am aware of how much of a painful interviewee that’d be, so I’ll say that I think Two Gunned Saint really comes from an appreciation of the genre. It’s from an idea I had a few years ago. A kind of revenge movie, inspired largely by Hong Kong “Heroic Bloodshed” movies, and also Sergio Leone, Sergio Corbucci with a bit of Jean-Pierre Melville too. A lot of those Hong Kong films and the spaghetti westerns felt kind of underground, like you weren’t so much watching a movie, more like you’d discovered one. Some forbidden ancient text, that for some reason was on VHS. And I want Two Gunned Saint to have that same feeling. Was this a conscious decision from the start or something that evolved naturally? In the beginning, the film was very much my version of a late 80s, early 90s John Woo movie. Over time, it actually developed away from that, became more of its own thing. At the end of last year, one of the great Hong Kong directors, Ringo Lam passed and I ended up revisiting a lot of his films, like City on Fire, Wild Search etc and then on to a load of other films from that time, some I hadn’t seen in over ten years and one of the many things that struck me was how distinctive these films were and how much of an impression they’d made on Two Gunned Saint. The stories were generally very simple and that made the action more emotional and all the more visceral. They were nuts, those directors were like the Rock Stars of the directing world. I understand that the film is still some time away from completion, but are you able to share any details on the plot and how you plan to put your mark on the genre? Two Gunned Saint is about a man, thought to be dead, who returns to the city to meet this mysterious scarred woman from his past. She provides him with the intelligence to take down the sinister organisation behind the hit that left him riddled with bullets. But they aren’t going to take that lying down and start turning the city into a war zone. Then things get bloody. Probably second only to horror, the action genre is the most prone to falling into cliché. Which to me seems like a waste, when there must be so many unique and original and exciting action films that haven’t been made yet. Two Gunned Saint is my stab at making one. If you’re going to give years of your life to making a film, why would you want it to be like two dozen other films released the same week. I’m not opposed to those clichés in and of themselves, the whole “gunned down and left for dead” revenge trope that starts Two Gunned Saint has been done to death so to speak. But it’s still a pretty cool way to open a film and one I think we’ve managed to find few new angles of. And that’s what it’s about, the things people love about those films but done in a way they hopefully won’t have seen. I don’t know if you’d agree but I feel more than ever that audiences are having their say in regards to how action films should be executed both from cinematography and editing standpoint. Recent features like The Raid and John Wick have sparked a new found appreciation for longer takes and wide shots. What is your stance on this? There does seem to be a greater understanding of how these films are put together among the general film goer. Which is great because we’ve shown early cuts of a couple of the shootouts to people and the response means a little more when it’s from someone who really knows their stuff. One of my main questions to them is always, could you tell what was going on? I learned all this stuff by watching the previously mentioned Hong Kong filmmakers, probably the best feature from when DVD came along was the ability to go frame by frame and really break these scenes down. If I wasn’t making this I might have ended up on Twitter, espousing on the virtues of using wide shots and the pros and cons of long takes. I think it’s fair to say we are in a golden age for action cinema. We had enormous hits like Mission: Impossible Fallout last year and smaller releases like Upgrade or The Night Comes For Us. What excites you about the genre and how are you translating that excitement into your project? I do think we’re in a bit of a golden age now you mention it. Headshot and The Night Comes For Us both hit in the last couple of years and for me, both earned a place in the all time hall of fame. People have questioned the violence in the genre and rightly so but I think at its heart, the genre works not because of that but because it’s like a perfectly formed delivery device of poetic justice. There’s plenty of people who need taking down and that’s why it’s probably the most popular genre on earth. There’s a lot in there that I can dig into with that, especially in the morality. And away from Two Gunned Saint, I’m happy that John Woo has come back to this and really hope Timo Tjahjanto gets to make a The Night Comes For Us spin off with Julie Estelle. The origins of our website are Sheffield based, like the production of Two Gunned Saint. What is it about Sheffield and the local filmmaking community that has helped production? One thing Sheffield gave us is loads of cinematic old factories to film in, however at the rate they’re getting knocked down we’re going to have to be fast or we’ll end up having to film the whole thing in a Tesco car park. It’s faintly ambiguous exactly where the film is set, it’s such a big story I couldn’t really set it in Sheffield, it’s too small, all the characters would keep running into each other. But we suggest it takes place in London. There is a great film community in Sheffield and it seems to keep growing, most of our cast and crew are based here. And we’ve been working closely with local companies like Let There Be Light Productions. There’s been a lot of people very supportive of the film, I think not only because it has the potential to be so wild but also because that kind of film isn’t often made around here. A lot of aspiring filmmakers seem to struggle with the problem of making an idea come to fruition. Be it a concern with the lack of resources available to them or their confidence in a project, what advice would you offer to other filmmakers and students trying to get started? Great question and one that gets asked a lot, people generally answer with something like “just go shoot something with whatever camera that’s available to you”, which is sound advice but I wonder if I should come up with something a bit different. One thing would be to find good people, if you’re the smartest person in the room, you’re in the wrong room. Surround yourself with people better than you and learn from them. Also, action equals inspiration, some people think it’s the other way round, that when inspiration hits, then you can go and do something but that’s back to front, start doing the thing and you’ll be inspired. I feel that motivational quotes have really devalued the idea of motivational quotes but that one’s true. And finally, What are your plans going forward with Two Gunned Saint at this point in time? Right now, we’re getting back into fight rehearsals. Antonio, our fight guy has been tasked with finding all kind of unique ways to take a gun off someone and by mentioning that in this interview, I’ve increased the pressure on him in a really irresponsible way, so I look forward to seeing what he comes up with. Keep an eye on our Facebook, Twitter, Instagram etc because we have some really cool stuff we’re going to be releasing soon that I can’t say too much about right now but other than that we’re just gearing up to start shooting as soon as we can, so we can get back to unleashing mayhem on the streets.